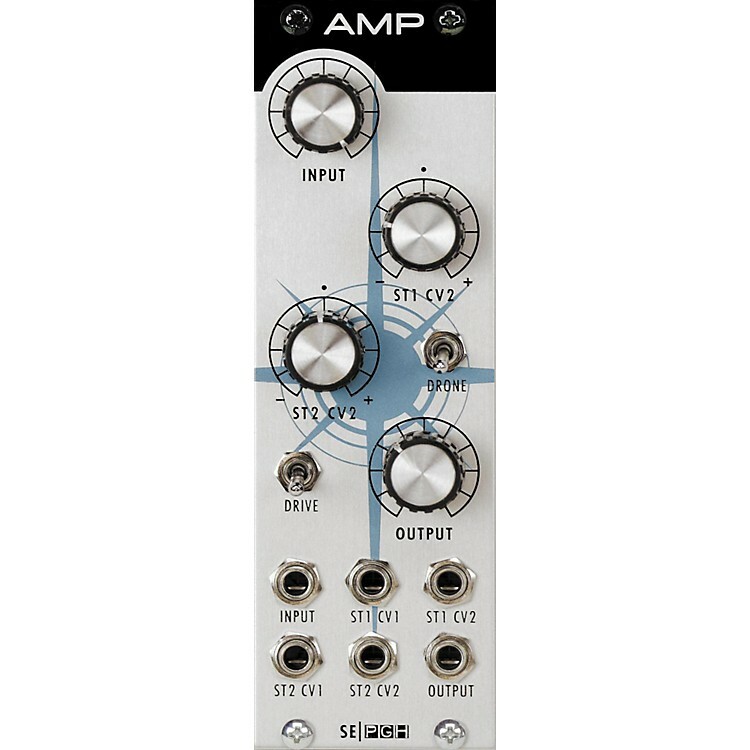 Modular amp with matched transistors for reliable behavior. The amplifier (AMP) is a 2 stage Class A discrete design that uses three pairs of hand-matched transistors. Its envelope is usually applied to ST1/1. ST1/2 goes through an attenuverter and can be used for envelope or modulation. ST2/1 goes to the second stage, and is typically used for volume control. ST2/2 goes through an attenuverter and is typically used for modulation. The AMP, the 5089, and the 3003 are Class A circuits. They draw more current from the +12 rail than from the -12 volt rail. Boomstar Modular AMPs are hand-built entirely in the US. Six patch points: INPUT, ST1 CV1, ST1 CV2, ST2 CV1, ST2 CV2, OUTPUT. An essential part of your modular system. Order today.